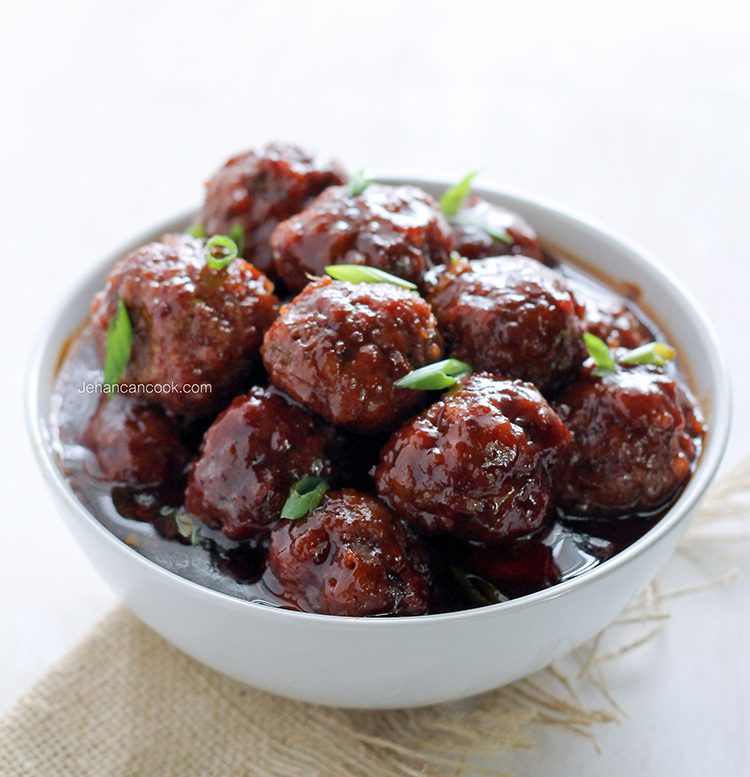 Sweet and Spicy Meatballs in an Asian flavored sauce. For me this meal is sort of a throwback. About 10 years ago my sister and I would make these a lot. We would make these for every occasion or as a late night meal; we were obsessed! 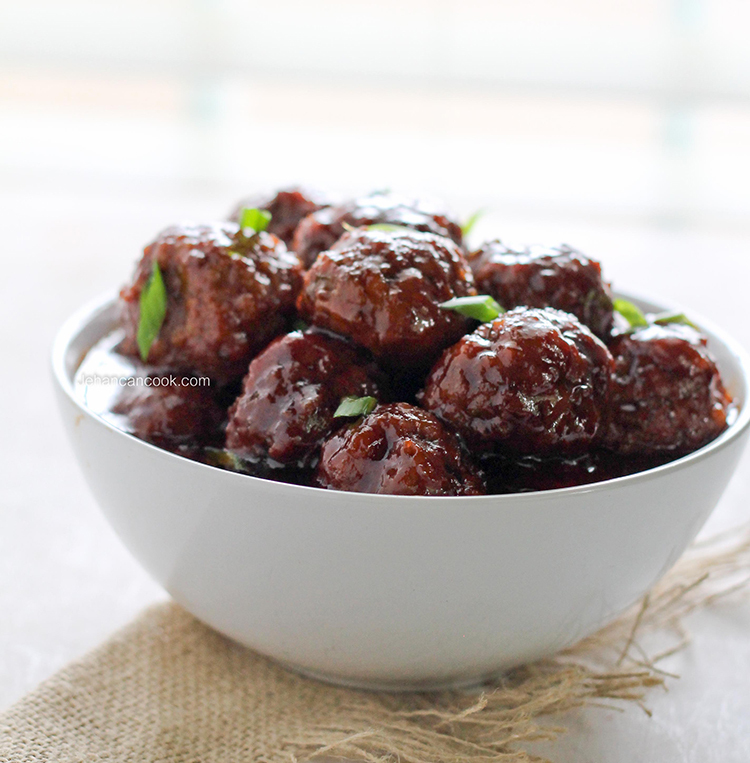 I was speaking to her recently and we somehow ended up on the topic of these fantastic meatballs and I knew I had to make them. 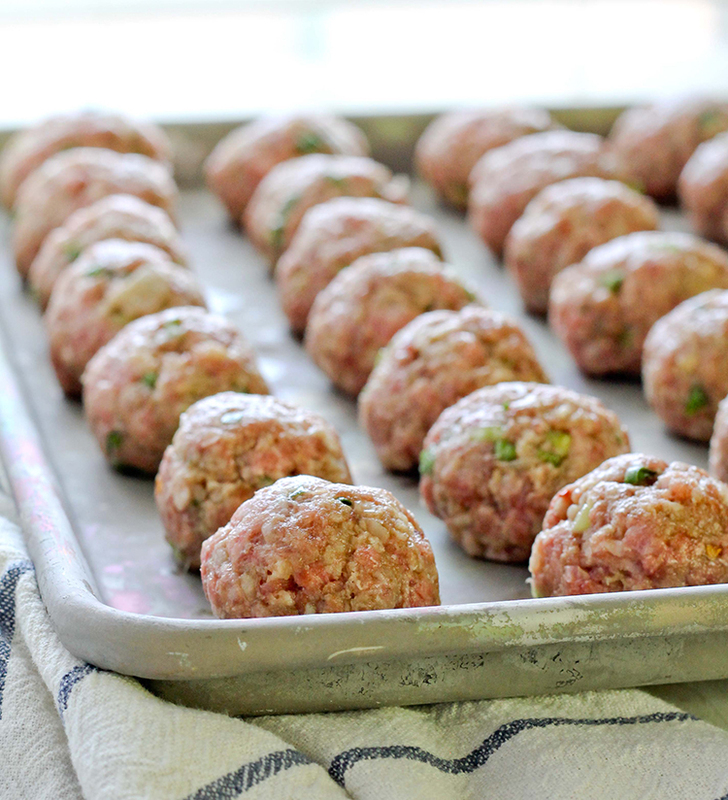 I love how simple they are and I prefer to bake my meatballs since it is healthier and quite frankly easier. 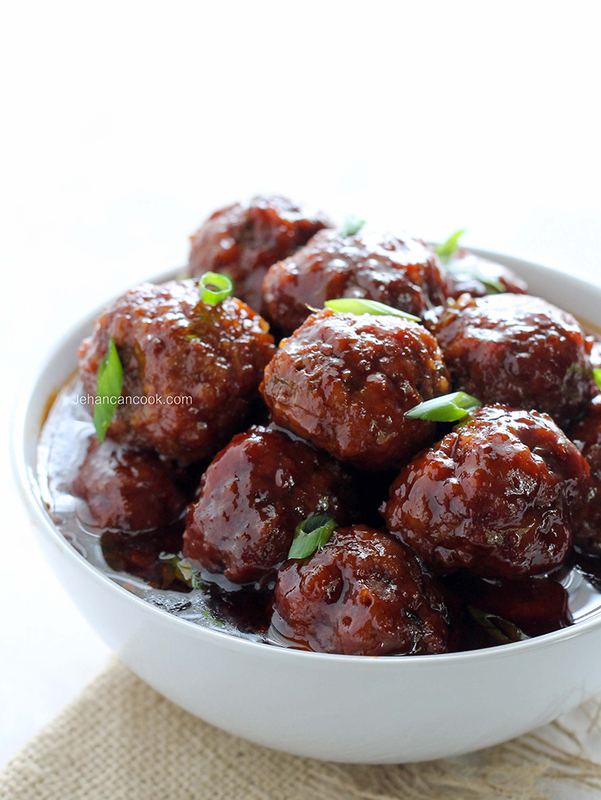 You can also make these ahead of time simply mixing all the ingredients for the sauce then add to a crock pot with the cooked meatballs and cook on low for 5-6 hours. Enjoy! To make the meatballs, preheat oven to 400 degrees. Place beef, pork, water chestnut, garlic, ginger, scallion, red pepper flakes, soy sauce, panko break crumbs (or regular bread crumbs) and egg in a large bowl and mix until combined. Don’t over mix. Pinch off about 2 tablespoon of mixture and gently roll into a meatball. Place on a sheet pan and repeat. Place into a preheated oven and bake for 20 minutes. To make the sauce, place all of the ingredients for the sauce in a large heavy bottom pot over medium heat. Add baked meatballs to the sauce and heat until it begins to bubble, reduce heat to low, cover and let simmer for 25-30 minutes. Remove from heat and allow to cool slightly before serving. Garnish with chopped scallion and serve with rice, mashed potatoes. I love this recipe! I have one that is slightly similar, but on the spicy side with a lot of focus on Sriracha sauce. I’m going to have to try this one out! Dana, that sounds so good!